Vote for your Favourite Bead Dreams Piece! If you are not able to attend this year’s Bead & Button Show in Milwaukee, Wisconsin, you can still check out the Bead Dreams exhibition online! All this week, you can vote for your favourite Bead Dreams piece. The piece with the most votes will be awarded The People’s Choice Award ribbon and a $500 gift certificate from Fire Mountain Gems. Please click HERE to view all of the finalists! 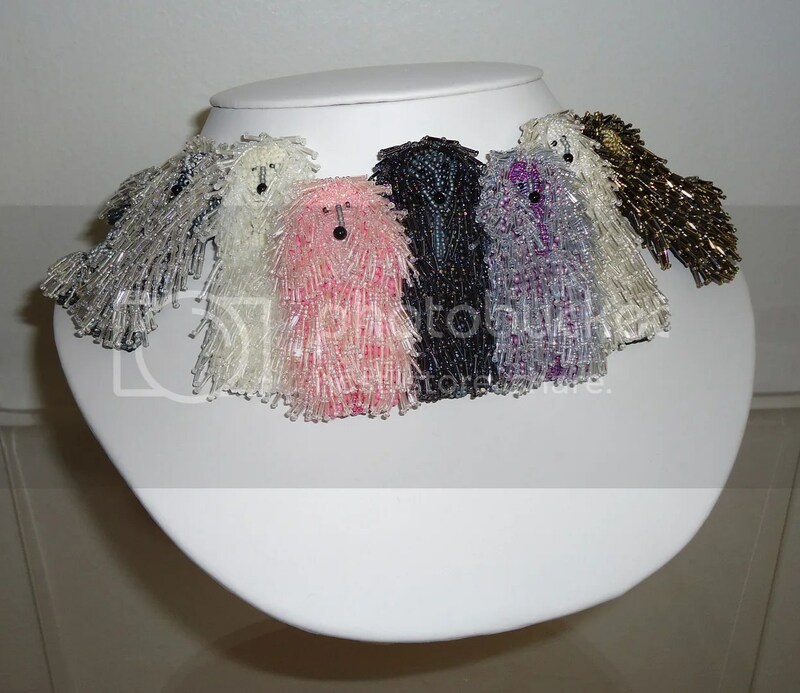 Scroll down to view my micro-beaded dog collar necklace entitled ‘Pretty in Poodles‘. Also, please check out my Facebook page for updates on my latest bead painting in progress. Thank you for your interest in my beadwork! Several months ago, a package of Tagua beads came in the mail from Ecuador! Tagua beads are made from the nut of a palm tree in South America. They can be carved or cut into many different shapes. The Tagua nut’s best known quality is that in its natural state, it looks very much like Ivory, but can be dyed any color of the rainbow. Tagua beads are light weight and eco-friendly! My favourite Tagua beads are called potato chip beads or slices. They are very thin with one hole on the top. I wanted to try using them as a cabochon, so I glued 3 of them to small pieces of Ultrasuede. 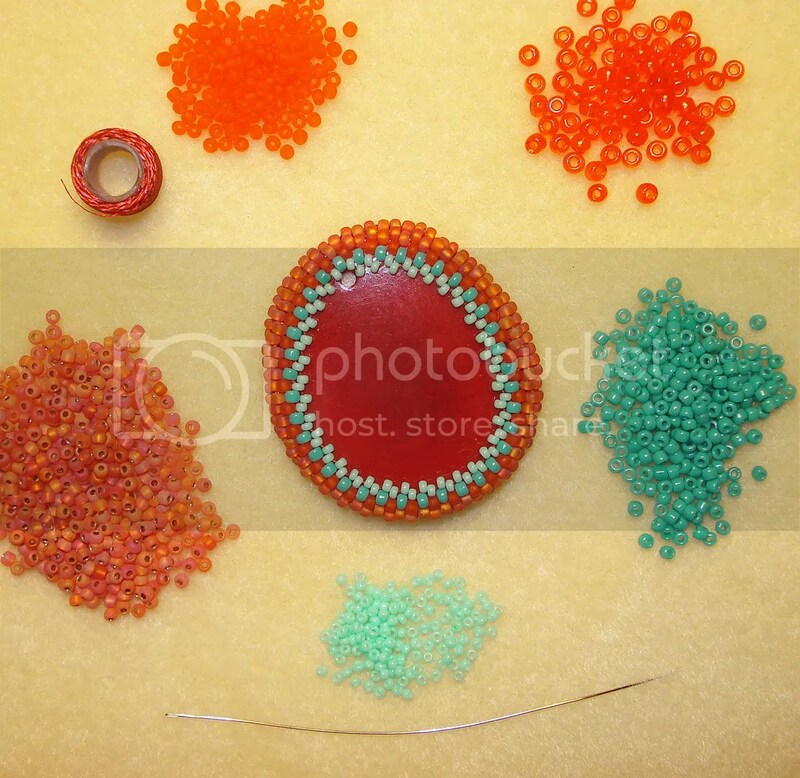 Then, I beaded around them using peyote-stitch. 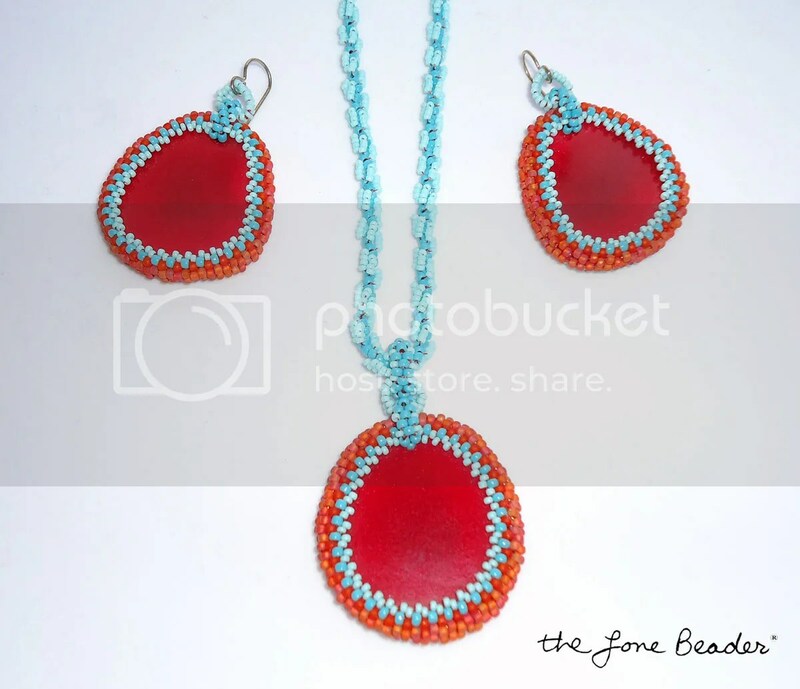 I used orange and turquoise blue glass seed beads in size 11 and 15. After I finished beading my bezels, I decided to utilize the holes at the top of the beads by making my own bails. 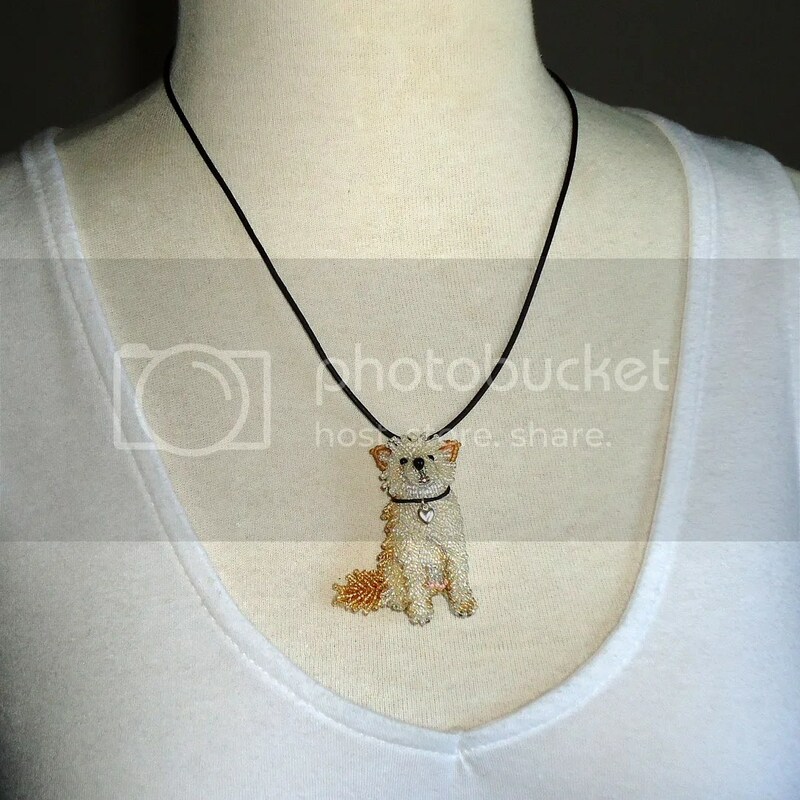 I did this by peyote-stitching a few rows of beads through the hole and the Ultrasuede at the back of the piece. After creating a second beaded link, I was able to attach sterling silver ear wires. For the third pendant, I stitched an 18″ blue spiral rope chain to match. These pieces are very lightweight in comparison to a beaded stone or glass cabachon. If you like big earrings, but don’t like them weighing your ear down, these are perfect! This set is now available for sale in my Etsy shop. You can also find a fabulous selection of Tagua Beads at EcuadorianHands.com. Thanks for looking! 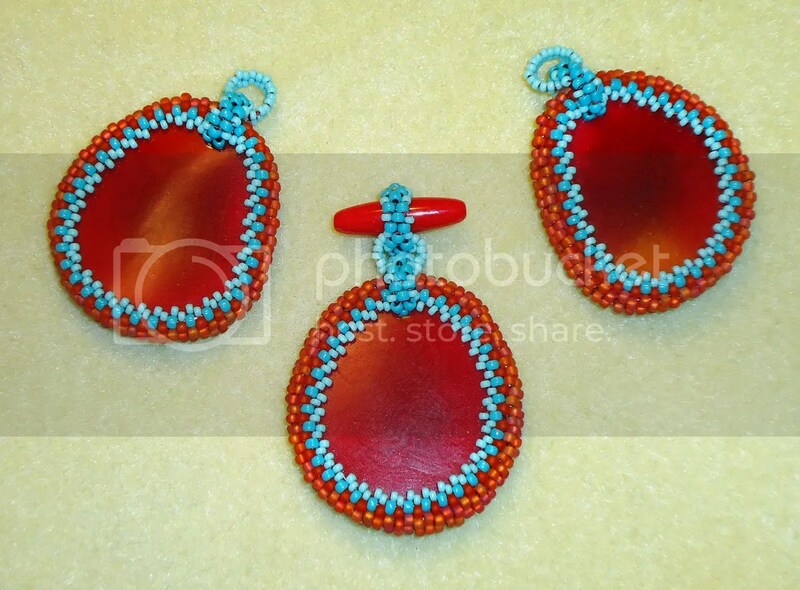 *Please note: I have received the Tagua Beads used in these pieces free of charge from EcuadorianHands.com. This is my honest review of the product and I have not been paid for my endorsement as it pertains to the products received. 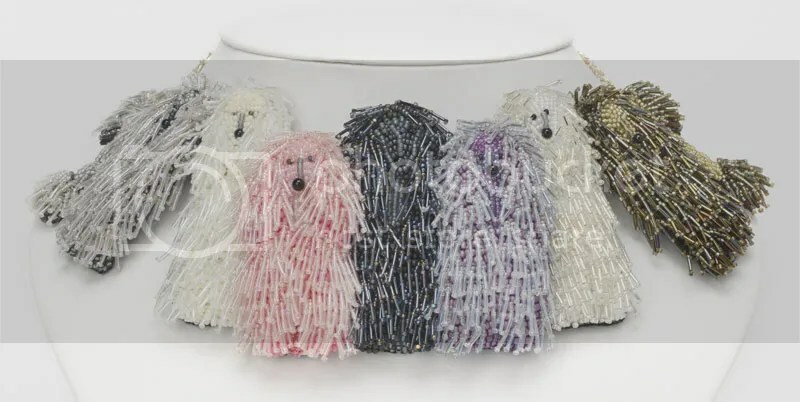 Last week, I learned that my micro-beaded collar necklace, Pretty in Poodles, has been juried into the prestigious 2013 Bead Dreams competition! Who love Pugs? 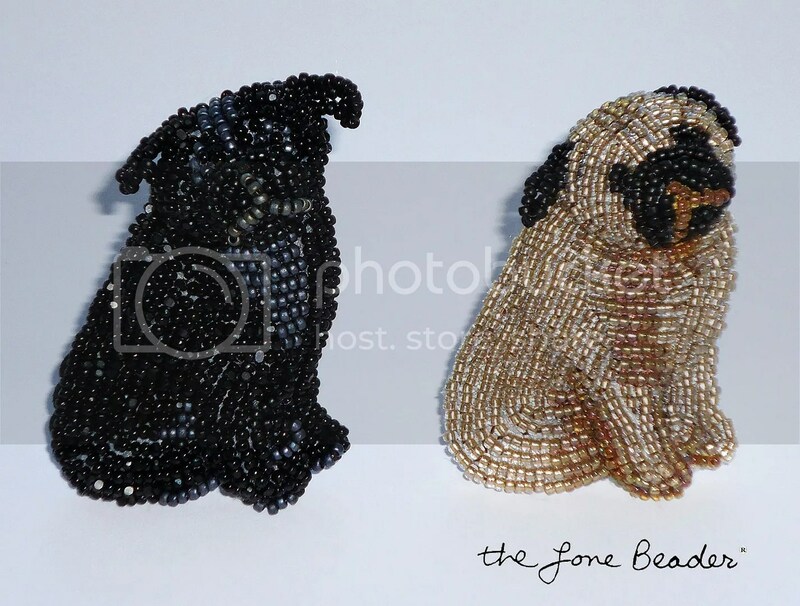 My beaded Pug pins have recently become one of my best sellers on Etsy! My latest one is all black. 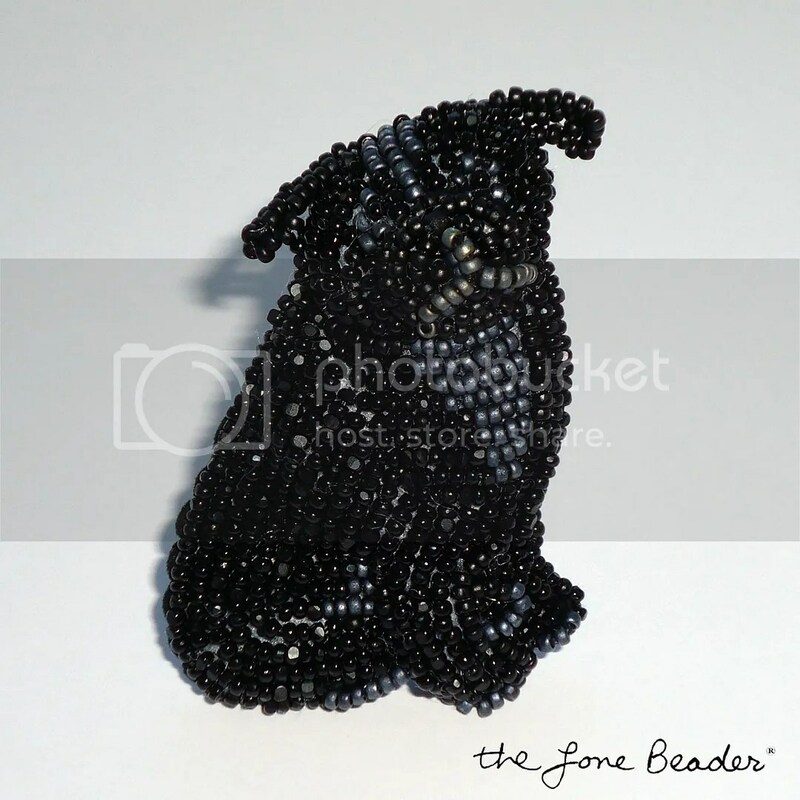 I used 15/o charlotte seed beads for sparkle, as well as steel gray for contrast. 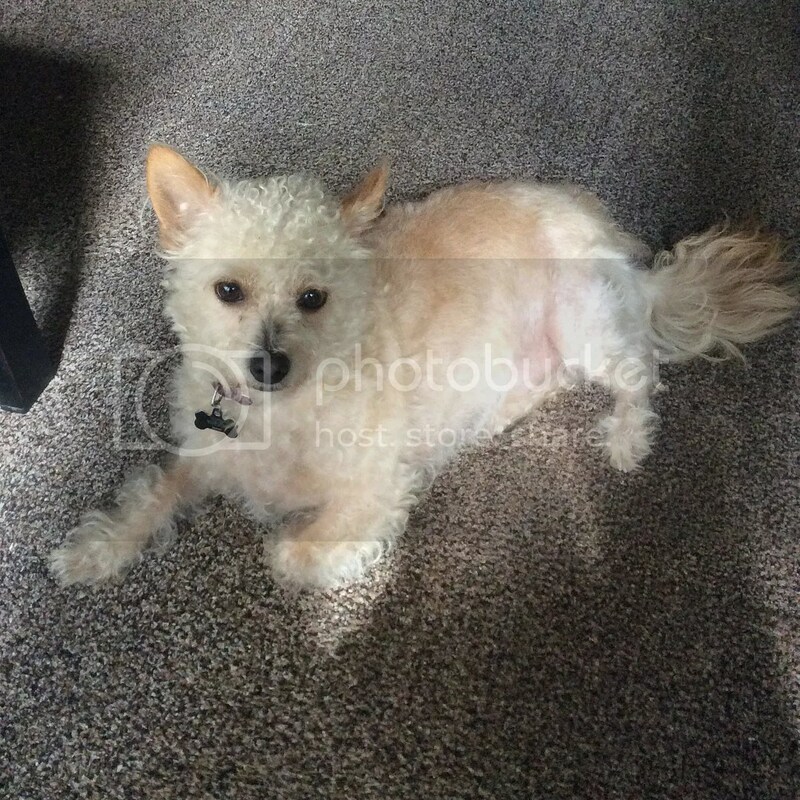 How does he look? 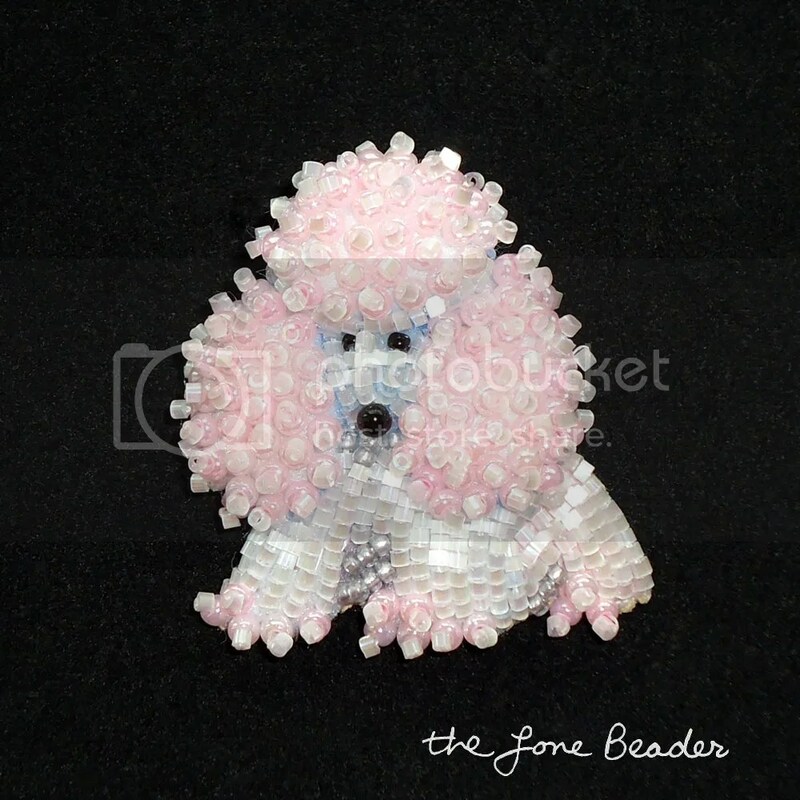 I have also finished making another baby pink beaded poodle pin. 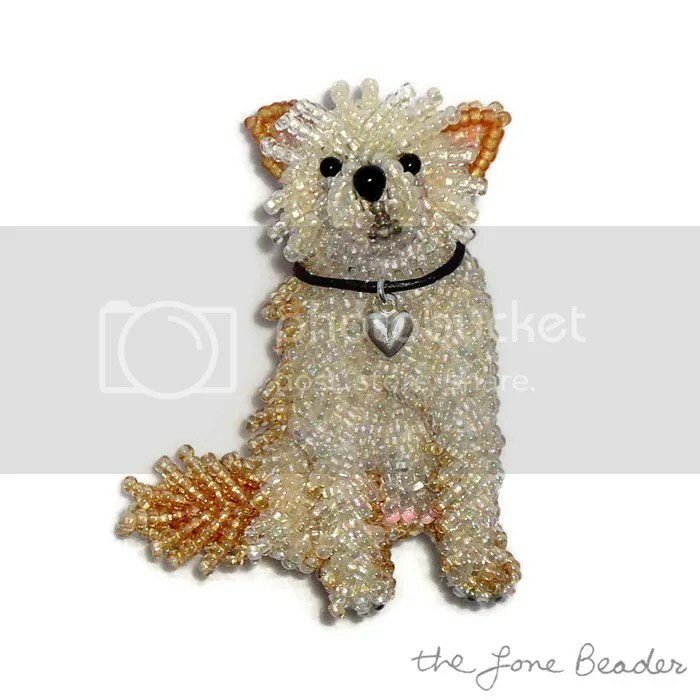 I started beading this miniature poodle at last week’s bead embroidery workshop. 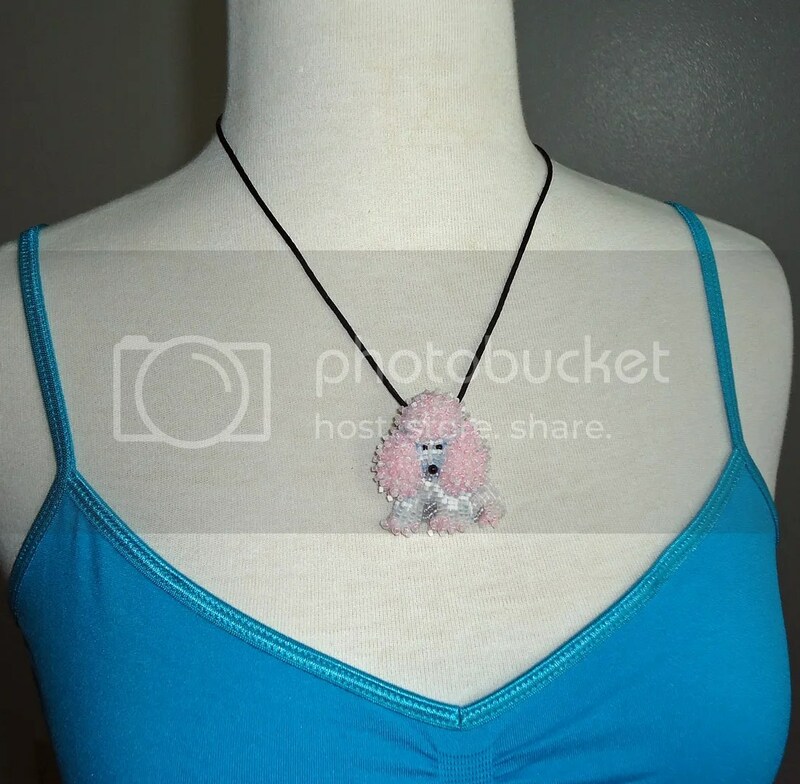 I used bubblegum pink 8/o seed beads, as well as ceylon white Delicas. Also, if you’d like to check out the latest progress of my semi-beaded Peterbilt semi truck, check out my Facebook page. I will post an update on this blog soon. That’s the news for now. Thank you for your interest in my beadwork!